I absolutely love decorating the house with floral arrangements at this time of year. I use anything and everything that I can get my hands on from the garden and keep my expenditure to a minimum. Even the ivy that we are constantly trying to kill before it strangles our trees comes in handy; I spray its leaves with gold and they look fab. For my front door wreath this year, I sprayed ivy and pine cones in gold and interspersed them with sage from my beleagured herb garden, Gypsophila (bought at Bloomfield wholesalers), Crab apples (from my gorgeous little tree) and bronze leaves from my Beech hedge. The effect was stunning (if I do say so myself! – see picture). For a dining table centre-piece, I tape an oasis to a little tray and secure a candle using cocktail sticks. Foliage from Pseudowintera, Hebes, Miscanthus grass, seedheads from Sedum ‘autumn joy’ and a few more sprigs of gold sprayed ivy and the effect is wonderful, without even having to buy a bunch of flowers. For larger displays around the house, I mix fake flowers with fresh flowers and foliage. I add to my collection of ‘fakes’ every year and use them in different ways. They are a worthwhile investment and can be picked up in your local co-op, wholesalers or in Folium in Carrigaline. If, like the entire country, you are on a tight budget this year, buy a block of oasis and try your hand at this, you’ll be surprised at how easy it is! For more ideas and a step-by-step guide to flower arranging check out my website www.gorgeousgardens.ie. Camellias are a wonderful evergreen addition to any garden. There are over 250 species of these long living shrubs and trees. Their glossy green simple leaves provide a lovely backdrop to their elegant flowers which come in a range of colours. Camellias are very versatile but must be grown in acid soil. If you have alkaline or neutral soil keep them in pots with ericaceous soil. I grow them in various parts of my garden. They thrive in the wooded area amongst Ferns and Fuchias, underplanted with hundreds of spring flowers and Polyanthus. I have a few in containers and also in the beds as speciman plants. I am currently training one successfully as a climber on a north facing wall. If you are impatient, you can spend from €25 up to €80 for a large one in a garden centre. Lidl have been selling them in spring time over the last few years for as little as €8.99 which makes them an affordable investment. When your plant gets really big, you can cut the flowers for display indoors and they are really beautiful. Grow your camellias in well-drained humus rich soil away from strong winds. It is best to ensure that they always have a healthy dose of mulch around their base. Partial or dappled shade suits them best. They need protection from morning sun which can burn their leaves. Buds and flowers may be damaged by frosts but the shrub usually always recovers. I feed my Camellias, Rhododendrons, Azaleas and Pieris regularly from September to December to promote big fat flower buds. They will not tolerate being waterlogged but watering is required in dry weather to prevent bud drop. All this might sound like high maintenance but they more or less take care of themselves for most of the year. I have really enjoyed writing my article for the Cork Indo and for my blog every week. 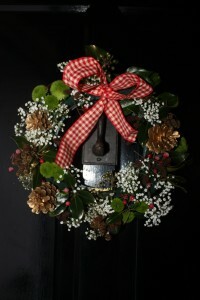 I am looking forward to bringing you more gardening tips and ideas in the Spring and wish all my readers a very happy Christmas and wonderful outdoorsey 2012!